When it comes to owning or breeding hunting dogs, there are some absolutely necessary hunting equipment for dogs that you should have on hand at all times. Some of these just increase the convenience associated with taking our dogs on the hunt, while others are nearly essential. Hunting can be enjoyed even when it gets practiced as a simple hobby. Yet, you should always get in touch with your nearest local hunting dog club to know about the safest hunting zones and trails. Don't venture on your own unless you know your local regulations and geography! So, if you're planning on training your dog to assist you on the hunting field you should make sure have all of the following tools and hunting equipment for dogs. In modern times there's simply no excuse not to have a tracking collar for your dog. These handy and modern devices will allow you to keep track of your animal while they're out in the field no matter what. A model which also allows you to remotely give commands is highly recommended, although the prices run pretty high. Of course, there also arises the issue of picking one out. Sometimes a dog can get miles ahead of you if it's on a particularly strong trail after all, and it'll be up to your budget and desired range. In general, go for as long of a range as you can afford and make sure other hunters approve of the collar before making a final choice. The Garmin T5 GPS Dog Collar is a great option, with over a full day of battery life and up to 9 mile range. Many hunters don't think of a quality K9 harness as high on their priority list, but then again some of us have a bad habit of not using high-visibility wear ourselves. A good one will be thick to provide an extra layer of protection from the brush as well as making sure no one mistakes your dog for their quarry. It should also be very brightly colored and easy to distinguish as unnatural at a distance. This is one of the most important things to outfit your dog with. Hunters occasionally exercise poor judgement when firing, and a high-visibility vest will help make sure your dog isn't mistaken for their intended prey. In addition to that, they'll provide an easy way to keep the dog leashed with no risk of harm. While many people feed their dog the same thing year round, it's important to establish that dogs which are being worked hard every day, much like their people, have slightly differing nutritional requirements. Performance dog foods will generally be higher in fat and protein than traditional foods. You should absolutely try the Elite Grain-Free Dog Food from SportDogFood. You may also want to consider bringing along some wet food. Some dogs, when overexerted, won't eat enough and wet food can help encourage them to eat more at the end of the day. These foods will help keep your dog high in energy, especially on multiple day trips. Stocking some dog food toppers along can help with palatability, too! To avoid taking up too much room in your pack, you can invest a small amount in a travel dog bowl rather than taking out your traditional bowls. Most of these will be made of silicone or cloth, and fold down, with a waterproof lining. 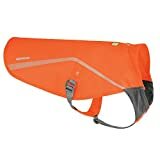 This makes them an effective on-the-go solution to feeding and watering your dog while on the trail. It also makes sense to look for a portable dog food container, rather than carrying your hunting dog food in its normal bag or box. 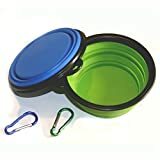 These can help keep your dog's food organized without you having to worry about flimsy packaging and will come in handy if you intend to stray far from camp during the day. There are a number of awesome dog water bottles that can easily be found if you take a look around. Keeping your dog hydrated and knowing the signs of canine dehydration is essential while you're hunting. Most of these bottles will have a flip-down bowl of some sort, making it convenient to give your dog some water while you rest. This also means that you won't have to share your water with your dog and can measure out exactly how much both of you have drank during the day. The convenience afforded by carrying one is no joke, and hunters may want to look for a model which can be fitted around the waste to avoid valuable pack space being taken up and allowing for easy access. When training your hunting dog, it's important that you train them to recall upon hearing a dog whistle. The ultrasonic noise of a dog whistle will allow you to recall your dog quietly and it will also carry for further than the human voice will. This makes it an important part of your arsenal as long as your dog has been trained to use one. 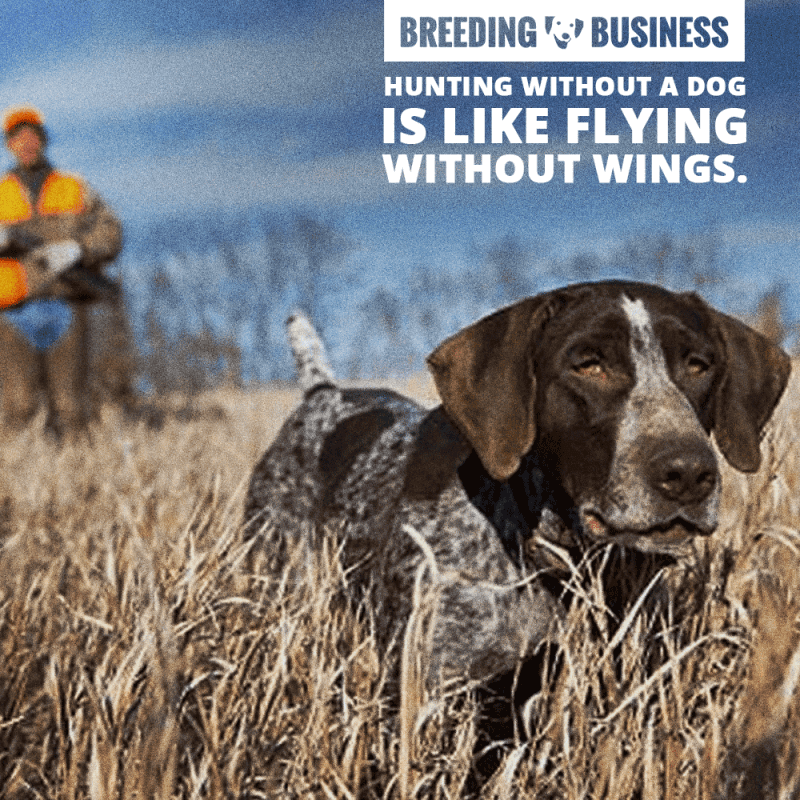 Hunting without a dog is like flying without wings… don't you agree? Knowing when to use and not use your whistle is an important part of your training as well. This is why it's highly recommended you work with experienced trainers and those who have experience hunting with dogs before you get in the field. A crate is undoubtedly the best way to transport your dog, especially since it's rough going a lot of the time when you're getting to your hunting grounds. Make sure it's sized correctly and made of the correct material for the climate you're hunting in. This will keep your dog from getting too hot or too cold while in the field. The cover is just as important. While most hunters will undoubtedly opt to use a camouflaged cover, the level of waterproofing and insulation will largely depend on what time of year you're hunting in. If it's going to be rainy and cold, you'll need a different cover than if you're in a warm and temperate spring climate for instance. Training your dog to properly use a blind is undoubtedly one of the most convenient things you'll ever pull off. These are pretty much essential if you're hunting waterfowl, as your dog being spotted will usually be enough to scare them off. 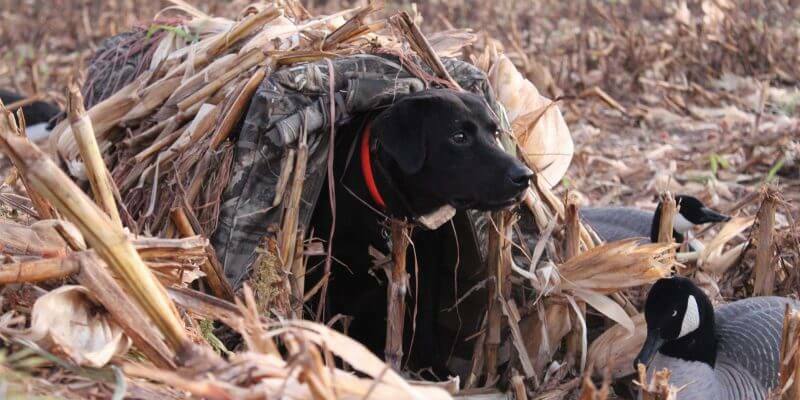 Most hunters recommend making sure the dog is comfortable in its blind at home before trying live in the field. Whether you need a stand or not depends on the type of terrain you're hunting in and the size of your dog. Stands are essential if you're hunting in the water, since they'll keep your dog off the ground and out of the water. 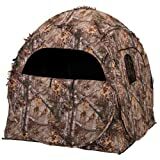 You'll also need to strike the balance between view and concealment, which will depend a lot on your dog's attitude. First aid kits are a must if you're in the wilderness, and carrying one specialized for canines is a good way to make sure they're healthy while you're out in the field. Ready bought models are undoubtedly the most convenient. A human first aid kit simply doesn't have what you need for the dog, and dogs tend to get in a lot of trouble so the dog first aid kit really is essential. 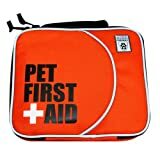 In addition to the first aid kit, you also want to know basic pet first aid. Due to their fur and different structure there's some additional stuff you'll need to know if you have to help your dog while the two of you are out. If you are also involved in dog breeding or producing your own hunting bloodline, you must prepare your own whelping kit. Whether you're facing burrs or rocks, there's a lot of things out there which can do damage to your pet's foot. This makes dog boots a good idea no matter the terrain. 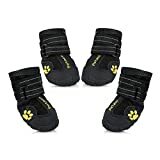 You'll want to balance out toughness and warmth as well, it's a much more thorough solution than just conditioning your dog's feet with waxes or creams. Waterproofing and warmth are an extra consideration for those who hunt for waterfowl, allowing you to make sure that your dog stays warm and in their most vulnerable areas. Boots are one of the most important non-essential items you might purchase for your dog so do your research when choosing a pair. Before the advent of fancy e-collars, there was the heeling stick. This fairly primitive technology is still one of the best ways to ensure obedience in the field. Many hunters swear by them, particularly with eager and hyper dogs who just want to get out and get after their prey. Many hunters will swear by them, especially as they're effectively silent and can be safely used in order to ensure your dog remains in the proper position while you're hunting. Look up a few videos and you'll see how useful of a tool they can really be. Remember that good obedience is essential for both your dog's safety and a successful hunt. Whether you are breeding dogs for hunting alongside you, or you are simply practicing some waterfowling with your family pet, it is important to be well-equipped. Always put the emphasis on the safety side of things at first, getting a lifejacket for dogs as well as a first aid kit!